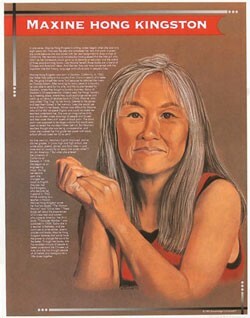 This unique educational poster of writer of writer Maxine Hong Kingston features a striking drawing of her, along with a concise biographical summary. 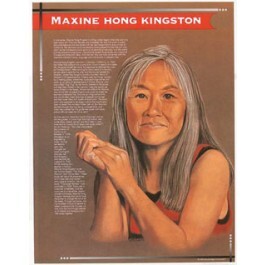 Maxine Hong Kingston's parents were Chinese immigrants and English was her second language growing up. Her books tell the experiences of Chinese men and women who came to America. Through these books she has enabled millions of people to better understand Chinese-American culture. This poster is a great way to introduce students to this award-winning Chinese American writer.